At last week’s Lone Pine Chamber of Commerce mixer, Joe Garza, was introduced as the new Lone Pine High School principal. Garza said that his official start date was August 2, 2018. When Garza applied as the principal at LP High, he said, “I wasn’t really looking, and it was coincidence. I got to see what God wants for me…I was teaching younger teachers in the profession.” Lone Pine reminds Garza of Arizona. “I love it here, because my Arizona roots are similar to this size. I came full circle and I’m back in a small town,” he said. Garza hopes to engage the community within the little entities, such as the Chamber of Commerce, businesses, church, hospital. Garza not only wants to educate, but “teach our kids how to serve the community and not forget the elders,” he said. He went on to say that on one particular Saturday, he had high schoolers window washing for the elderly. “They got to feel what I feel, that motivation to serve. So, that’s something to bring to the kids here—not just washing windows, but I want them to adopt a Senior,” he said. 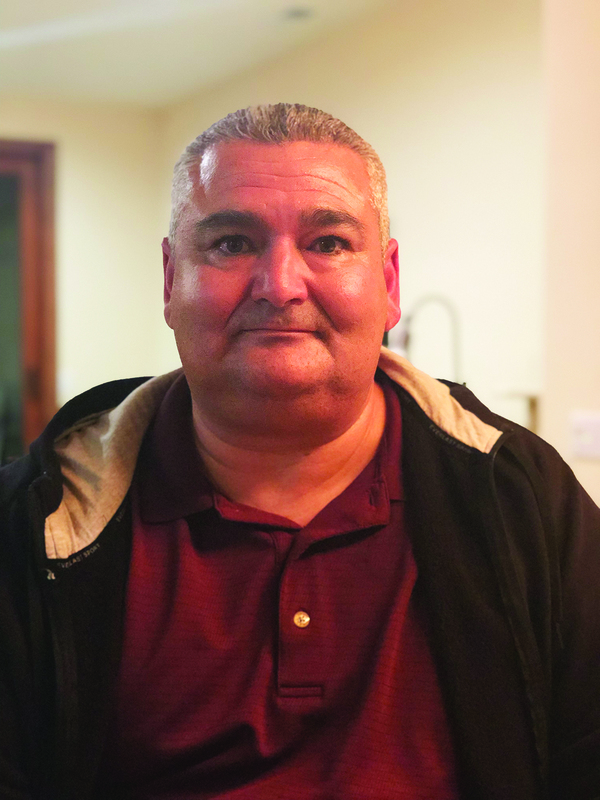 Even though there is an age difference, Garza said, “They’re at both ends of the spectrum, but they still do have a lot of commonality, and the most important thing is this community. We need to teach each other how to serve and get them addicted to that feeling, of ‘Man that felt great!’” he said. At his previous school, Garza taught high schoolers the importance of outreach. Garza was previously a teacher in charge for 5 years, which he said is like a vice principal. Joe Garza also wants to develop a cell-phone policy at the high school, but “I want input from everybody, students as well as teachers, parents, business, Chamber…I want to know what they think. I just have a feeling, we are sending our kids unprepared to the real world, where they’re so addicted to their cell phone. I think we’re doing them a disservice. I’m not saying we totally need to get rid of them on-campus, but I think we need a tighter policy as far as to get them ready. If we’re sending them graduating, and they think I can answer my cell phone anytime I want and I can text…then we’re not really preparing them,” Garza said. What was once known as the high school library, is now converted into the Eagle’s Nest, which is outreach and a student effort, Garza said. It took “at least 2 to 2.5 months to convert into the Eagle’s Nest,” he said. The Eagle’s Nest is “a place to hang out, help with homework [and] a place to be social in a protected environment,” Garza said. Eagle’s Nest is “where the Eagle goes to its nest to feel safe,” he said. At the Nest, we “give them a little sample of what college could be, because I want them to be inspired to go and do those things,” he said. High school seniors are not the only ones in the group, but “one Senior, three Juniors, maybe three Sophomores, and two Freshman,” Garza said. At the same time, the Eagle’s Nest does not interfere with sport activities, he said. The reading program is a little different, and “it still is a reading program, but it is a different type and now we’re doing more of analyzing, we’re talking off each other, we’re thinking off each other, so we want to get more to a collaboration group,” he said. When he first came to Lone Pine, he said that he intended to start working at the elementary school for half a day and the other half a day at the high school. “In practice, we had some holes and had to readjust it,” he said. Joe Garza is currently from Rialto, California. His daughter currently attends a school that is based upon university preparatory. She was accepted to Humboldt University and San Francisco State, he said. Garza said that he is not going anywhere. “Unless I get run out of town, I’m not going anywhere…my word is my word and I’m committed to this community,” he said. “My faith and serving God’s will, not mine. My faith is a big part [of] who I am today,” Garza said. Next story HOW MANY FEET?